People who have lost teeth because of disease, decay, injury or surgery can replace them with permanent implants or with removable dentures, sometimes called false teeth, which are a more affordable option. Dentures are custom-made for each individual mouth and support facial muscles and lips, keeping them from sagging and receding while giving the face a healthy, natural look. In addition, they help improve speech and enable wearers to eat most foods so they can enjoy healthier diets. People who still have most of their teeth can benefit by getting partial dentures if they have some missing teeth. A Fair Oaks dentist can fit patients with natural-looking dentures that are comfortable and fit firmly in their mouths. False teeth can consist of a full set to replace most of a patient’s teeth or a partial set if only a few teeth are missing. Full dentures are either conventional or immediate. 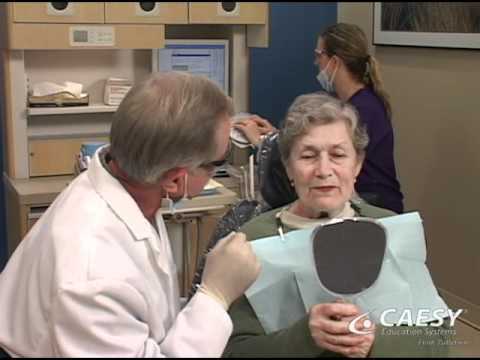 The Fair Oaks dentist removes all or most of patients’ teeth and allows time for gum tissues to heal before making conventional dentures and inserting them in the patients? mouths. When the dentist must extract teeth, the healing may take several months. 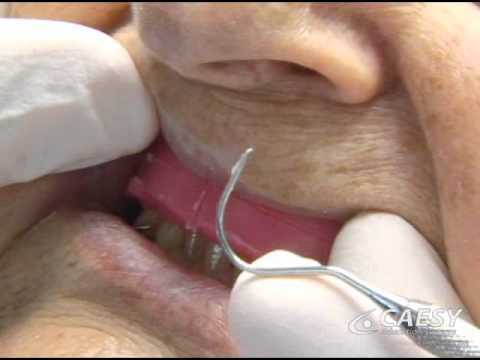 The Fair Oaks dentist places immediate dentures in patients’ mouths directly after removing their teeth. The patients wear the teeth for several months while their mouths are healing, and they normally are not exact fits. Patients usually swap these for conventional dentures after their gums have healed and shrunk, making it possible to fabricate the custom-made sets for perfect fits. It is normal to require some oral surgery like extracting teeth and altering the bony ridge along the gum line to make the new teeth stable. The Fair Oaks dentist will use a putty-like material to make impressions of the arches of mouths and gums to make molds for the dental laboratory to use when crafting the new false teeth. The dentist can shape and color the new teeth to suit patients’ wishes. The dentist can alter the fit until the teeth are comfortable to wear. Mouths naturally change shape over time, so it may be necessary to reline, remake or rebase the teeth at times to maintain a secure, comfortable fit. After receiving a new set of false teeth, patients should visit their Fair Oaks dentist yearly for examination of their dentures as well as of their oral tissues. Tissues can experience damage or inflammation without revealing symptoms, so it is important to detect and treat problems early to lessen supporting bone and tissue shrinkage. Patients should clean their false teeth regularly and keep them in a denture solution while they are not wearing them. The teeth may need adjustments occasionally, and the Fair Oaks dentist should make any modifications or repairs needed because the new teeth should last up to ten years with good care.